Needless to say, we are still discovering new features on Solution Manager 7.2 and trying to adapt to the difference from Solution Manager 7.1. Hence, it can be tedious checking on technical feasibility and features supported and consolidating everything in a single plan. We implemented test suite involving multiple processes, interfaces and teams for testing all via Solution Manager 7.2 and following is a sum of all the lessons to deliver your first test plan simplified. The buck actually starts here – and the better you design your solution (SOLADM & SOLDOC) – everything else becomes easier. Program RSMUD_TSV can be used to import solution elements via a spreadsheet to prepare your customized process structure in a single go (Folders –> Scenarios –> Process/Interface –> Process/Interface Steps) with executables , documents, test documents etc. attached as needed. Using this report you cannot update an existing process chain. If you use the same names, it would create a duplicate. In your import file avoid special characters in naming convention – it can lead to import failure. For document paths – $FILE_PATH parameter in the import file – do not specify an existing path from the same solution (ex-Solution> Business Processes > Folder > Scenario> Process > Attached document Name) – it should be a path from your local machine. So reassignment of an existing document within your solution is not possible via this report. 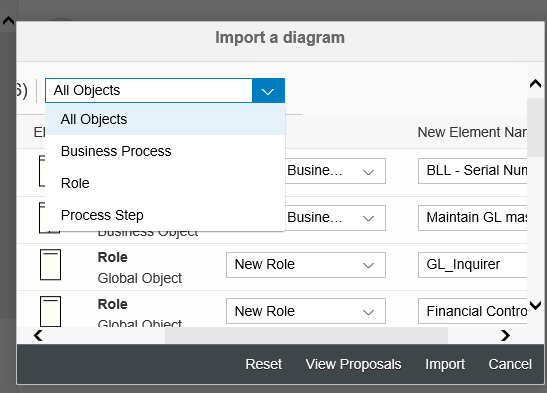 From SP05 onward, one can also import business process (BPMN) diagrams. All elements present in the BPMN diagram once imported, would start reflecting in the business process hierarchy. Process/ collaboration diagrams can only be imported at “Process” level. All elements in the diagram are auto imported and available at process step level. Hence, you need not create the process steps manually. In fact, not only process steps but other elements like business processes & roles are imported along with a BPMN diagram. Once our elements are present in our solution, test configurations & test documents are attached , we should make a note of the following things to ensure our uploaded elements can appear in the test plan for selection. B.1 For your test cases to reflect in your test plan, it is important respective process & scenarios are not set to “Exclusive” but additive. When you have to check and change for several cases, use the list view in SOLDOC. B.2 For all new elements to be updated and in sync with test suite, ensure “real time indexing” is active. Go to ESH_COCKPIT , and check for indexing on two elements – if needed run the indexing to update all elements. 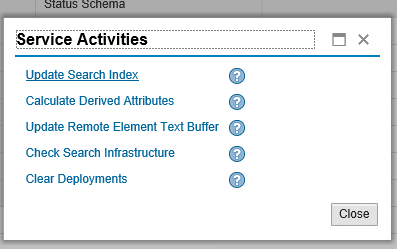 B.3 There is another way of updating all elements, from SOLADM –> Select Service Activities –> Update Search Index. This would run a job to update the elements (ESH_FU_DEMON_ClientID_YYYYMMDDXXXXX). Monitor for the job to finish. Your elements required in solution are created/ uploaded and updated via indexing. In Solution Manager WorkCentre –> Test Suite –> Test Plan Management, you can create a new test plan and all your business processes with additive test cases/ executables can be selected. One can select smaller sections / multiple combinations of existing test cases and put them to a sequence. The same sequence can be used to create a test package. You can select a test case and move up/ move down to change the sequence. C.3 What if elements are changed – new test case versions? New elements need to be synced with test suite – so indexing / running the job from SOLADM (B.2 & B.3) do the needful. New document versions uploaded can be incorporated in existing test sequences/ packages via “Get Current Document Version”. Active once a new version is detected. In order to ensure you do not lose test results, defects etc. linked with previous test case -document version, a popup to confirm the same comes up if the note 2520612 – No Reset options in “Get current document version” is implemented. Access Test package and you can assign a single / team of testers. Based on the sequence used in creating a package , sequential notifications are sent to tester whose assigned test case is “ready to test” only once test plan is in “released” or “adjusting test (urgent)” status. While the plan is in status “test in preparation” – tester cannot execute test case. There are several notes on tester worklist performance improvements – worth reading through and implementing. Thanks Shabnam for sharing your experience. Very detailed document. Thanks for sharing this!! For sharing the detailed document on this topic. Very detailed document , thanks for sharing .